Converging evidence suggests that neuroimmunity plays an important role in the pathophysiology of anxiety. Interleukin (IL)-4 is a key cytokine regulating neuroimmune functions in the central nervous system. More efficient anxiolytics with neuro-immune mechanisms are urgently needed. To determine whether 3′-deoxyadenosine (3′-dA) exerts an anxiolytic effect and to examine the role of IL-4 in the anxiolytic effect of 3′-dA in mice. We investigated the effects of 3′-dA on anxiety-like behaviors using elevated plus maze (EPM) or light-dark box (LDB) tests after 45 min or 5 days of treatment. Expression of IL-4, IL-10, IL-1β, TNF-α, and IL-6 in the prefrontal cortex (PFC) was detected by Western blot and/or double immunostaining. Intracerebroventricular injection of RIL-4Rα (an IL-4-specific inhibitor) and intraperitoneal injection of 3′-dA or imipramine were co-administered, followed by EPM test. 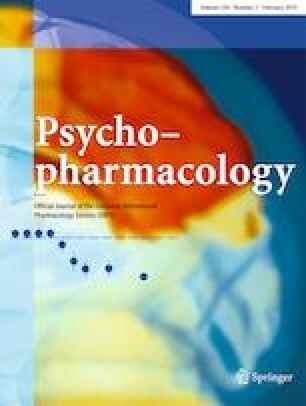 3′-dA exhibited a stronger and faster anxiolytic effect than imipramine in behavioral tests. Furthermore, 3′-dA enhanced IL-4 expression after 45 min or 5 days, TNF-α and IL-1β expression decreased significantly after a 5-day treatment with 3′-dA, and IL-10 expression increased after a 5-day treatment with 3′-dA or imipramine in the PFC. IL-4 was expressed in neurons and in some astrocytes and microglia. IL-4 expression showed a strong positive correlation with reduced anxiety behaviors. RIL-4Rα completely blocked the anxiolytic effects induced by 3′-dA and imipramine. This study identifies a novel and common anxiolytic IL-4 signaling pathway and provides an innovative drug with a novel neuro-immune mechanism for treating anxiety disorder. Tangxin Gao, Bai Li, and Yangyang Hou contributed equally to the paper as first authors. This work was supported by the National Natural Science Foundation of China (Grant No. 31560274, 31650005, and 81760651), Yunnan Province Funding (Grant No. KC1710123), and the Yunnan High-level Professional Funding (Grant No. 2012HA004) from the Department of Science and Technology of Yunnan Province. All experimental procedures were performed in accordance with the Medical Ethics Committee of the School of Medicine of Yunnan University and followed the Guide for the Care and Use of Laboratory Animals (ISBN 0-309-05377-3).